Basically my life has become essentially doing whatever my friend Rosemary has done. I'm good at finding things to do in New York but Washington D.C. is my weak spot. Since she's pretty much a D.C. native she's way more ~* in the know *~ than I am. So whenever Rosemary shares something cool she's done I start itching to check it out as well. In my defense this is an ULTRAAAA throwback as Rosemary went here before she was pregnant... last Fall I think? However, when she shared that they had adult juice boxes I knew I had to go. 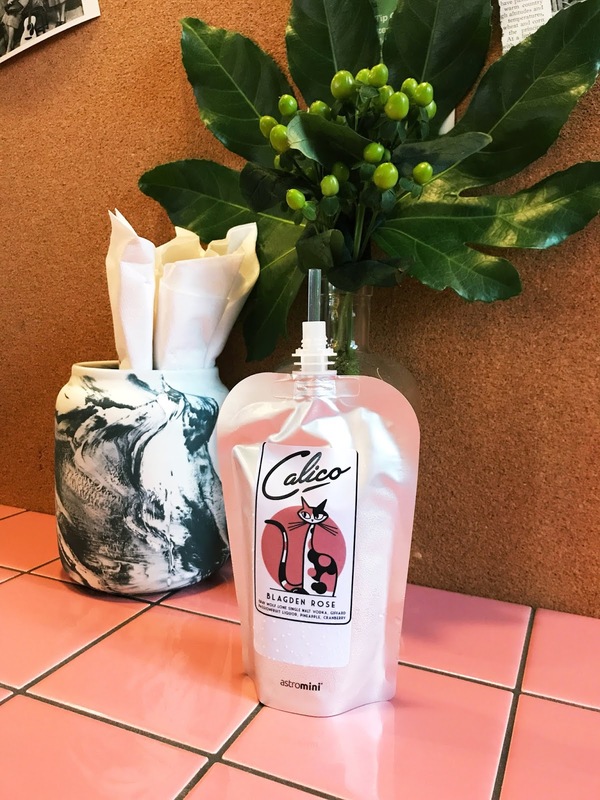 Calico can be found in the Blagden Alley area. It's near the Mt. Vernon station and is sort of hidden, which makes it cool right? There's lots of fun street art and honestly a couple other restaurants that I'm keen to try. 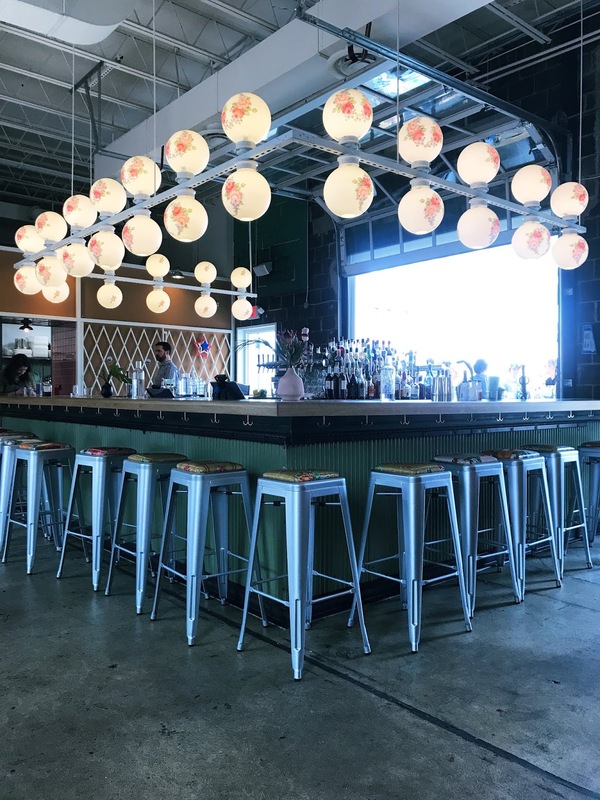 Calico has an amazing backyard area - which would make it the perfect spot to drink juice boxes when the weather is nice, but the inside ain't too shabby either. 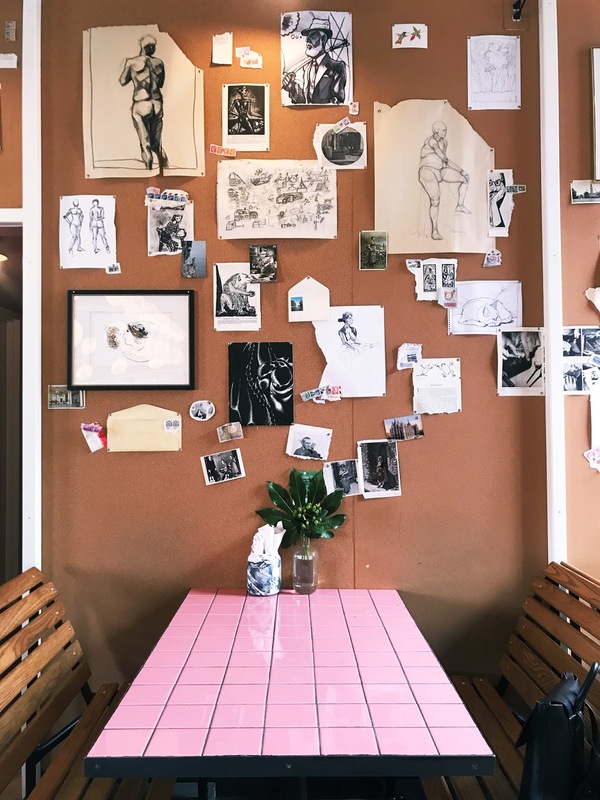 I'm sort of obsessed with everything in it, from the cork-board walls with scraps of art - that reminds me of my own little cork-board at home - to the pink tiled tables filled with green plants. Also... please just look at that bar! 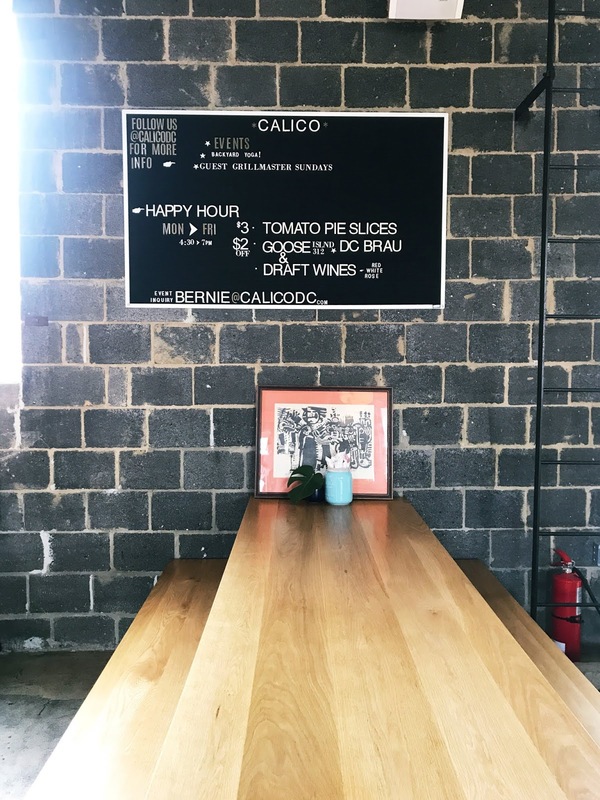 It's a smaller space so big groups may be hard to work in BUT if you're looking for somewhere off the beaten path to give a go check out Calico. And yes, the adult juice boxes were 100% worth it. I tried both, but I say go for the Blagden Rose.